There is a bad fire raging on the slopes of Helderberg above Somerset West. I took this shot from my front garden in Strand, approximately six kilometres away from the mountain. 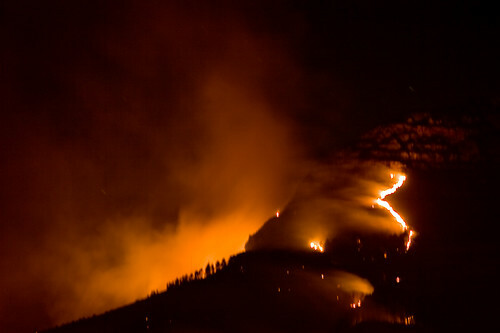 This entry was posted in Photos and tagged Cape Town, fire, forest, Helderberg, mountain, Somerset West, South Africa. Bookmark the permalink. Great shot. Scary to think that it was so close to me.